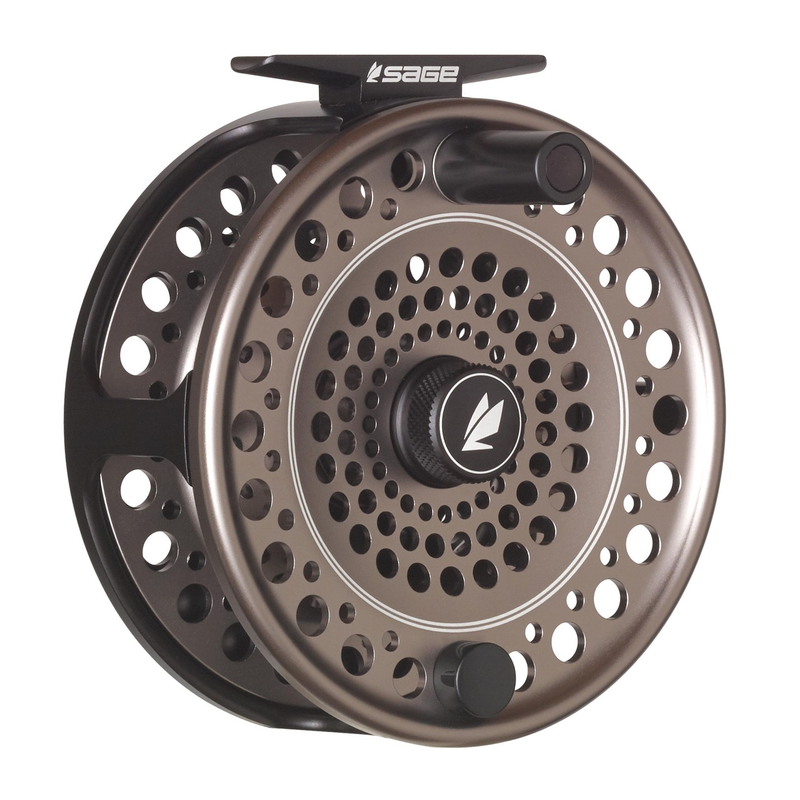 The SAGE Spey reel looks classic but has modern features designed for modern two handed fly fishing lines and rods. 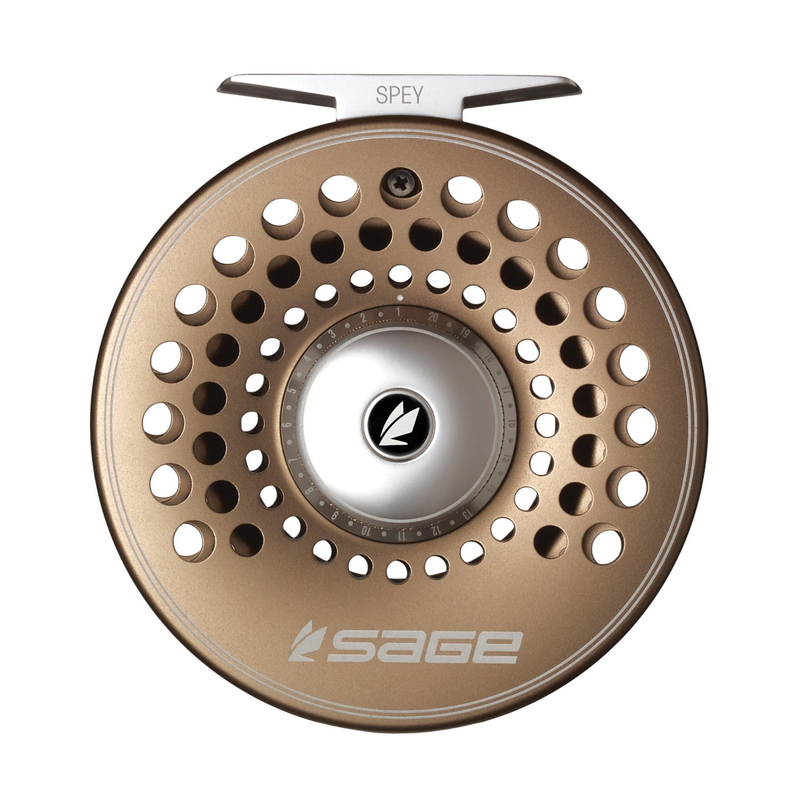 The SAGE Spey Reel feels super solid in hand. 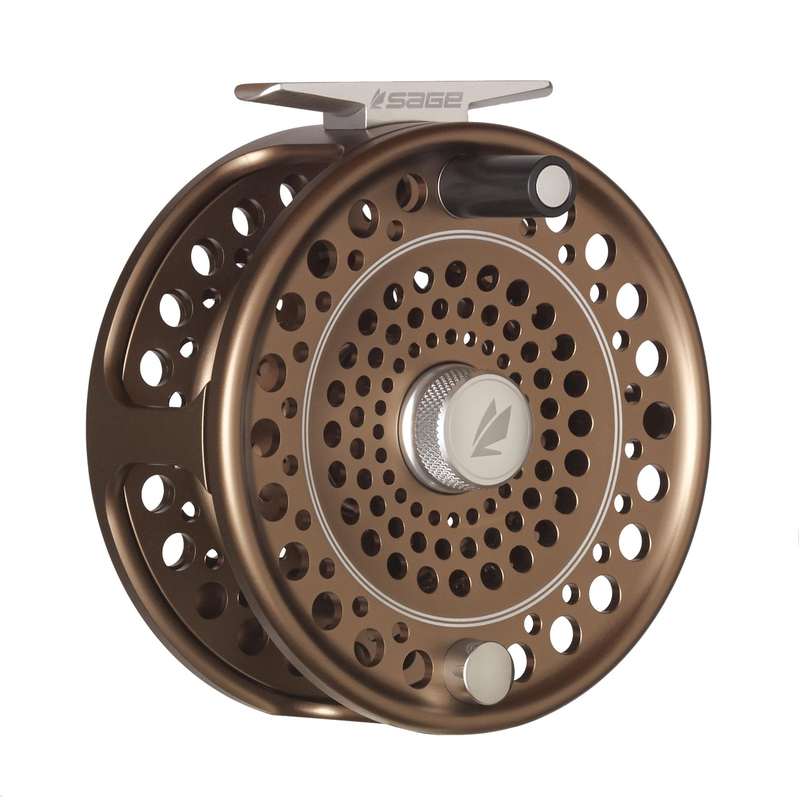 It's "squarish" feel reminds us of the larger Bougle and Perfect fly reels of the past. It's width and weight are wonderful for the modern spey lines and rods offered today. 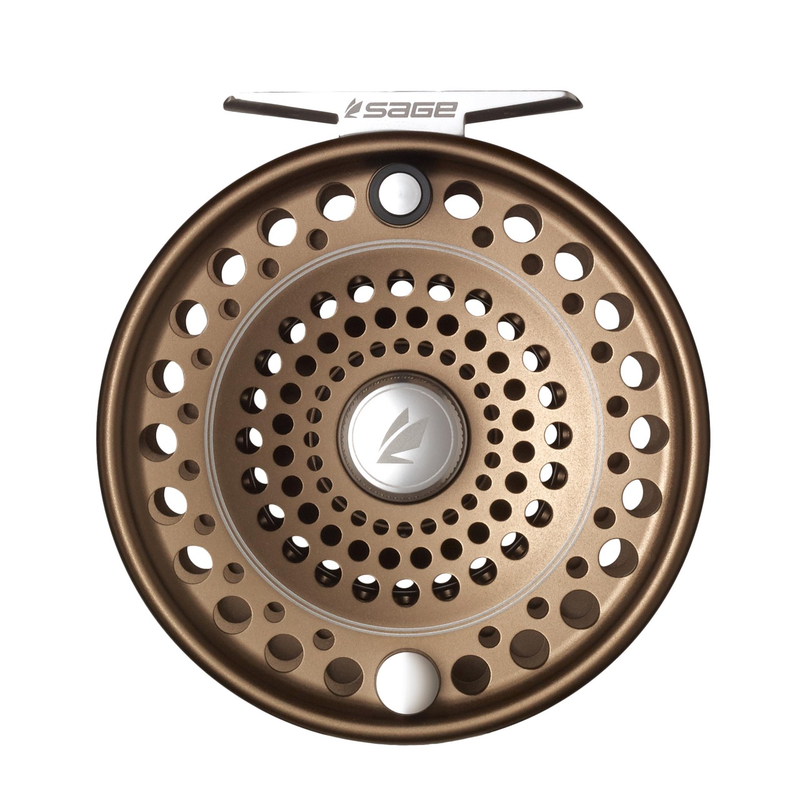 The Sage Spey was not designed to be a reel that is a crossover to saltwater, it was designed with spey rods and lines in mind exclusively. -Full line guards so that thin running lines don't get from spool to frame. 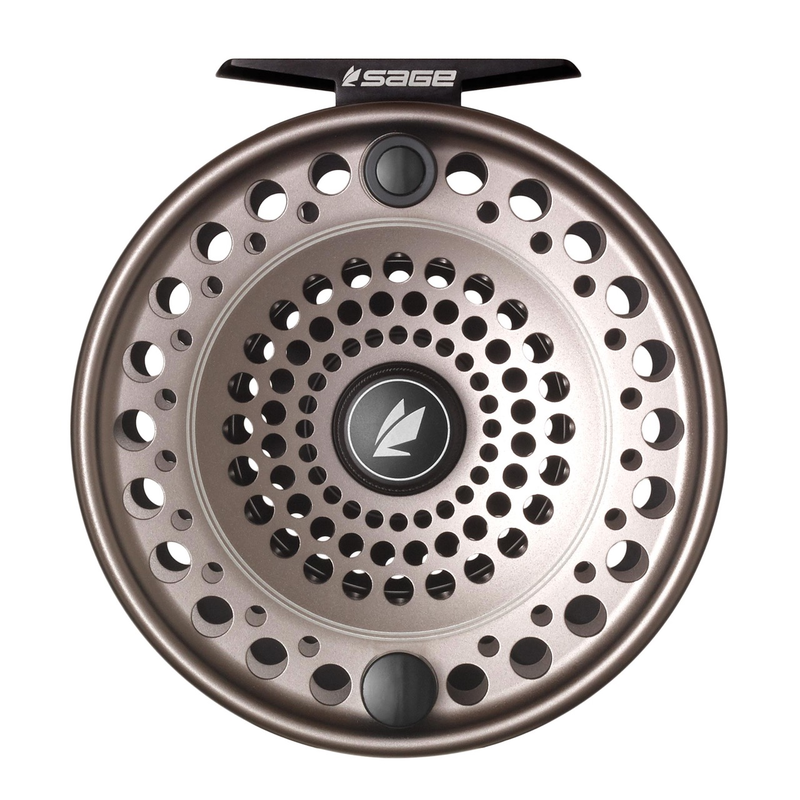 -Sealed carbon fiber drag system with numbered detent settings that one revolution takes you from all on to all off. -Large concave arbor for quick pick up and strength. -Easy to switch from right to left hand retrieve. 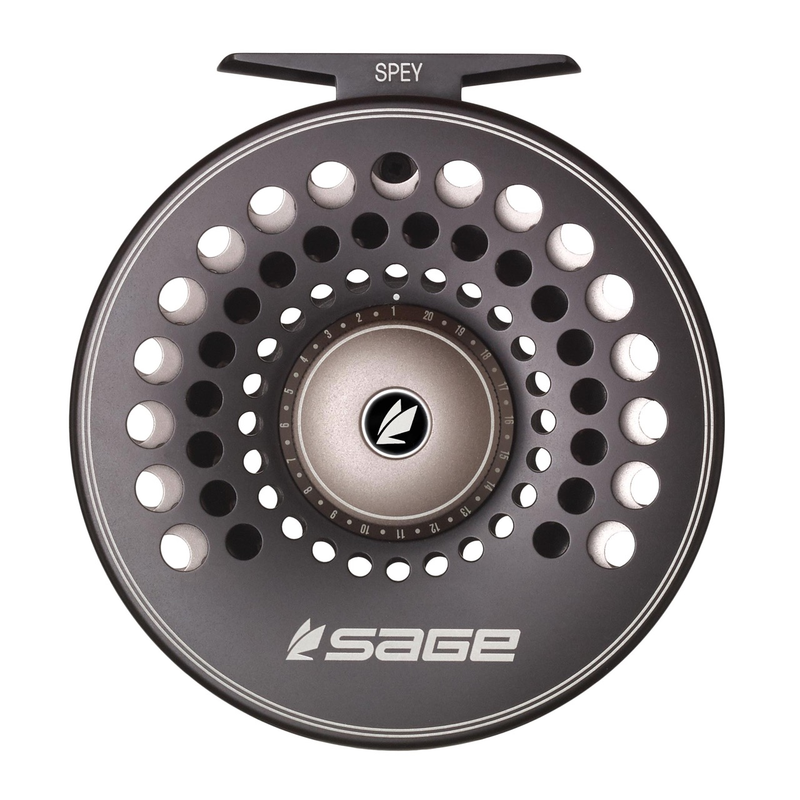 We are happy to load your SAGE Spey fly reel with backing at now charge regardless of whether you purchase a line from us or not.